When your ability to make arts & crafts doesn't exactly match your obsessive fandom. Happy nightmares! 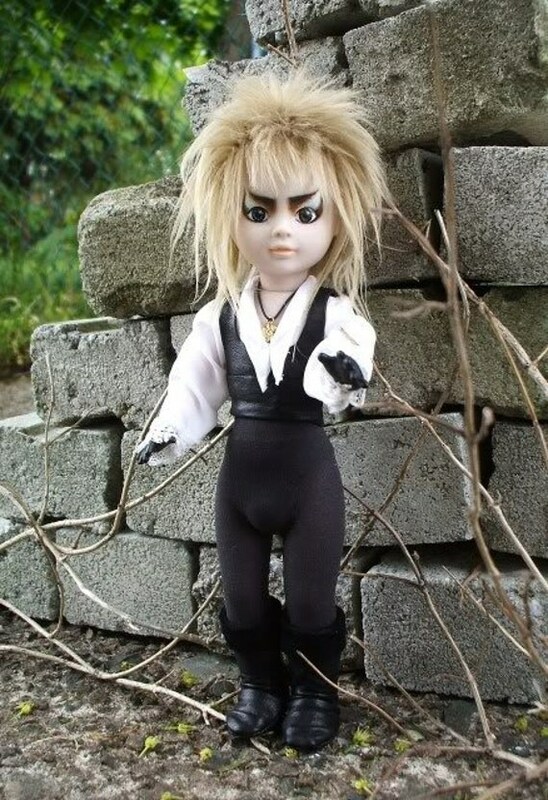 I'd like to wager that this doll has either a.) been sitting under something heavy for quite some time or b.) was previously owned by the mother of some demented 8-year-old who was reeeeeally pissed when she wouldn't buy him a bb gun so he took his boy scout swiss army knife to her most prized possession and, in the most passive-aggressive way possible, slowly started chipping away at porcelain. 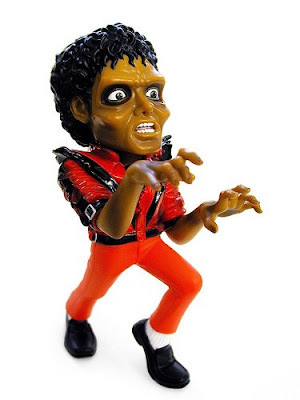 Doll or action figure, if you're gonna attempt MJ cira Thriller, you're gonna have to try a little bit harder, guys. Would not be alone in a room with this. Sorry. And in one image, the internet ruined the celebrity of David Bowie, his emaciated stature only a part of him, now, all we can see. Oh and the face is a bit too feminine, dude looks like a lady. All I can say is this: keep him away from water, bright lights, and don't feed him after midnight. At first glance, I thought this was a russian stacking doll. Now I think it's some punk kids' political statement: "AVOID HAVING A BIG HEAD." Either way, yeeesh. I feel like if you pressed the bottom of the orange circle, Bowie would dance. Owning this, though frightening to look at, would probably make you the coolest optometrist of all time. 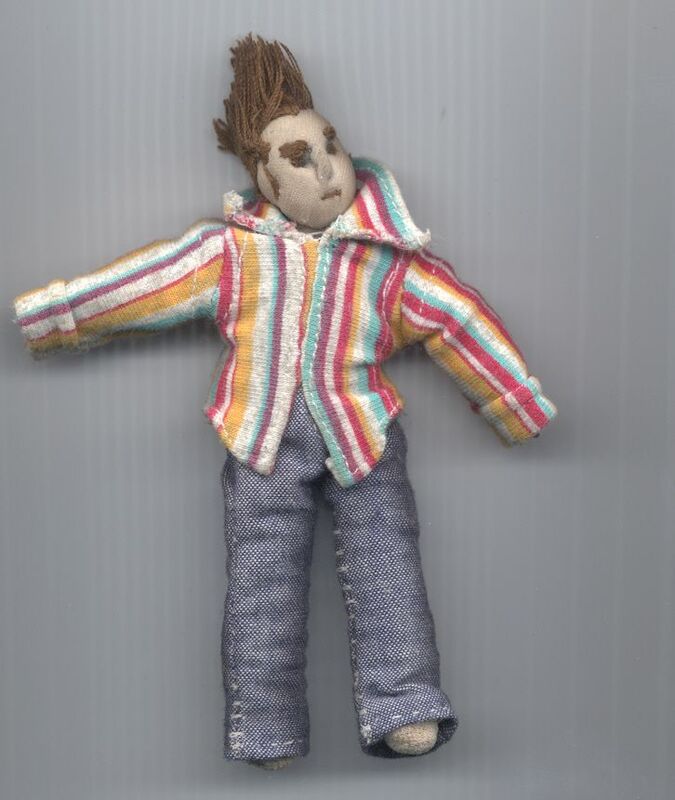 Is this the same doll from the first image? Except they dressed it? THEY DRESSED IT. Here's Bowie as a centaur. Maybe not, but it sure as hell represents him better than some of the above. 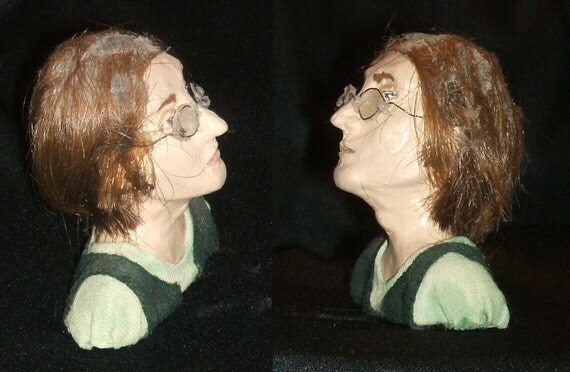 Why does John Lennon have Paul McCartney eyebrows? And why did someone carry this thing outside to take this picture? 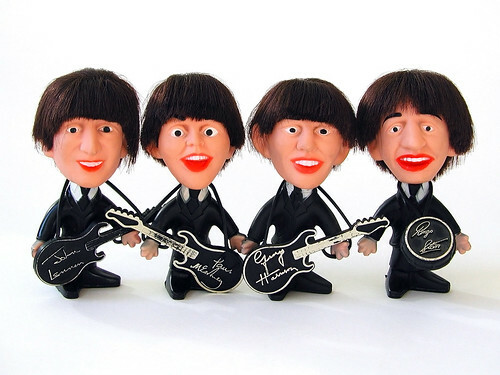 This is so scary, like, why did someone start to scalp the Lennon on the left? And why does this look frighteningly similar to my high school librarian? 4. All the Beatles, really. It's like a Chia Pet, but instead of growing a plant you instill fear in the hearts of loved ones. 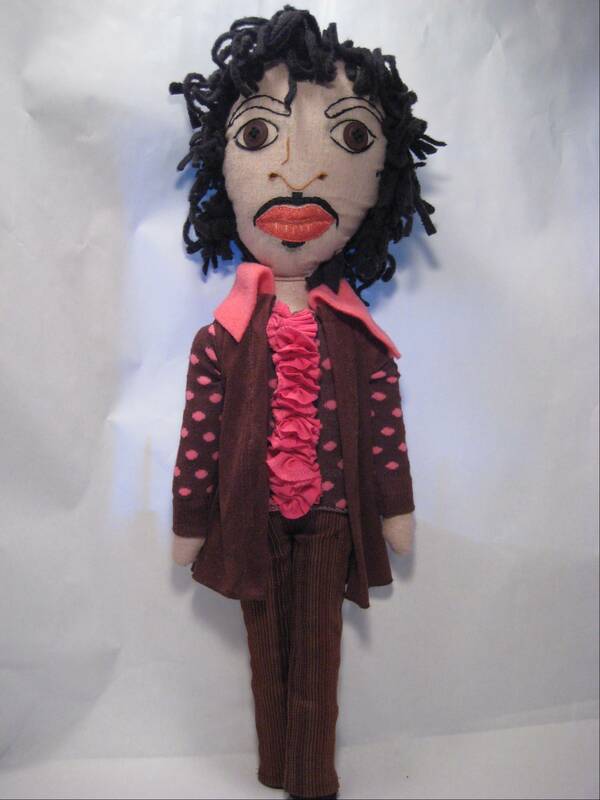 Ok, so this isn't a musician doll. 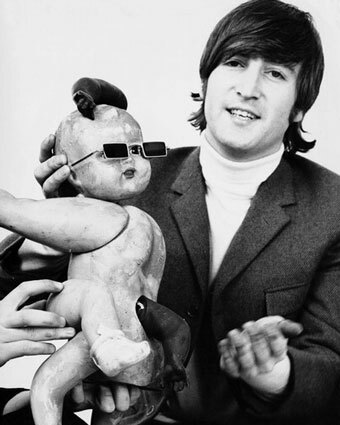 But holy hell, John, how are you holding that thing? They've shrunk Beyoncé! And they put her in a terribly unfortunate ensemble. It's pretty much common knowledge at this point that Beyoncé is one of the world's most beautiful beings. She's glamorous, flirtatious in a classy way and dammit, she is a woman. So why does her face look weird here? Come on, Barbie. We know you're better than this. This looks more like that English dude Katy Perry used to be married to. You know the one. 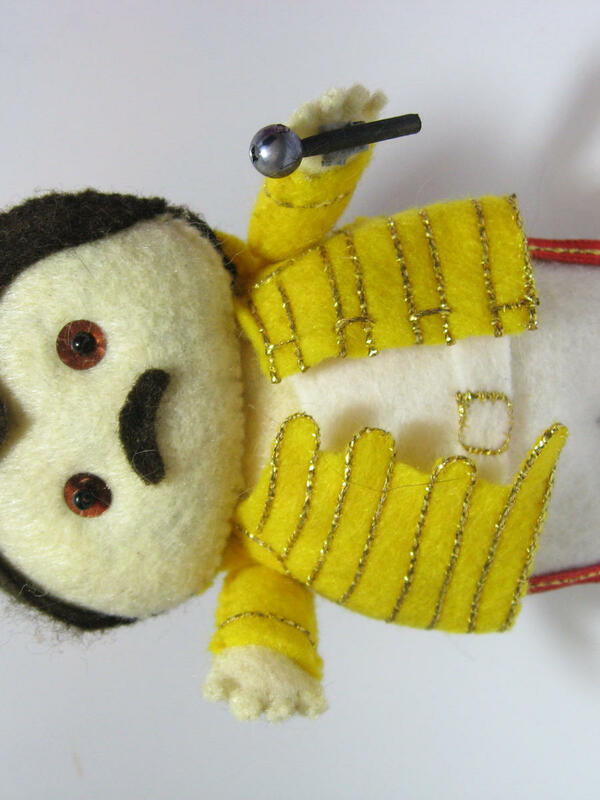 Freddie, honey, you're already adorable. As a penguin, well... can you even fit into your jumpsuit? 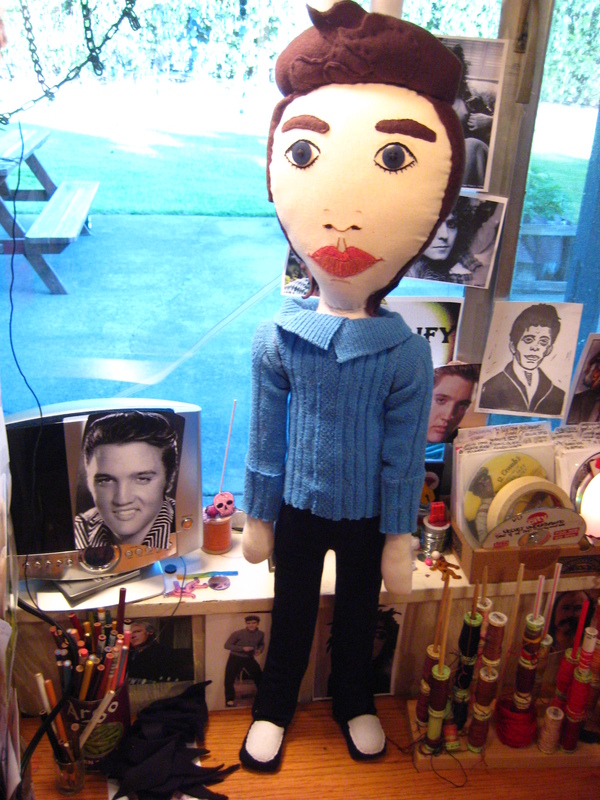 At the expensive of sounding childish, Elvis' permanently quaffed hair looks like poop here. And where's the pizzazz? 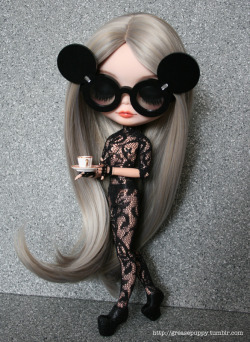 I'm pretty sure I have this outfit. I am not pizzazz-y. This might actually be the Woody from Toy Story's older brother, but until proven otherwise, Imma just leave this here. With a sigh. Sigh. Lips (and fear level) to scale. There's also a needle lodged in his throat. This one should go without saying but OMG YOU COULD FIT YOUR FINGER IN HIS EYE YOU COULD FIT YOUR FIGURE IN HIS EYE SOCKET. Also known as "Felt Medusa." 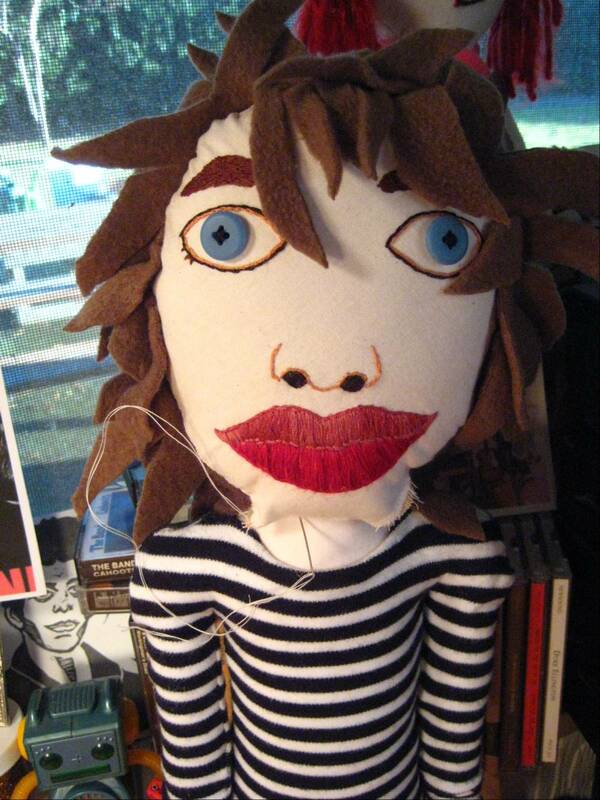 Or "Robert Smith." Yup, I would've gone with Robert Smith. Attention Internet: Davey Jones and Keith Richards are not the same person. Guys, if you're gonna blatantly rip off the design of almost every single character in Blue's Clues (I think this is actually a personification of Mr. Salt) Nickelodeon is gonna wanna know. 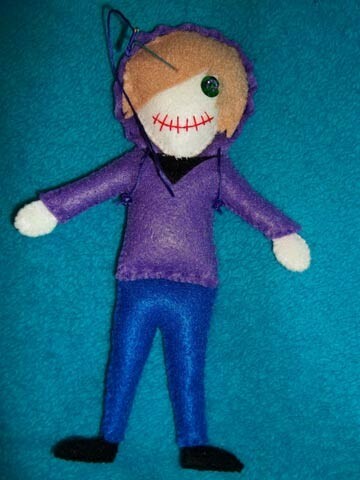 Or this is the product of some elementary school girl who suffers from an undiagnosed obsessive fandom disorder... and took her "Flat Stanley" project way too far. This actually kind of looks like every emo boy I had a crush on in high school and that is so depressing. Also, why would you want to hurt J Biebs? Check your weird fan voodoo at the door. This sort of looks like Angelina Jolie's character in the 1995 film "Hackers." Or a hatless Ash Ketchum. Gonna catch 'em all! 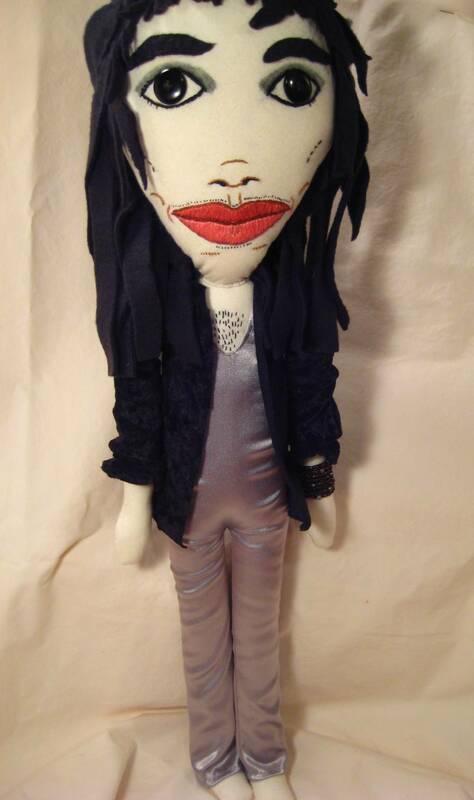 Like something out of a Tim Burton film, this doll is alright on the eyes... but imagine it in the dark. Get me? Because when I think "Lady Gaga," my mind immediately jumps too "weird baseball material and gold stuff, kind of like a unicorn but not because soda cans." 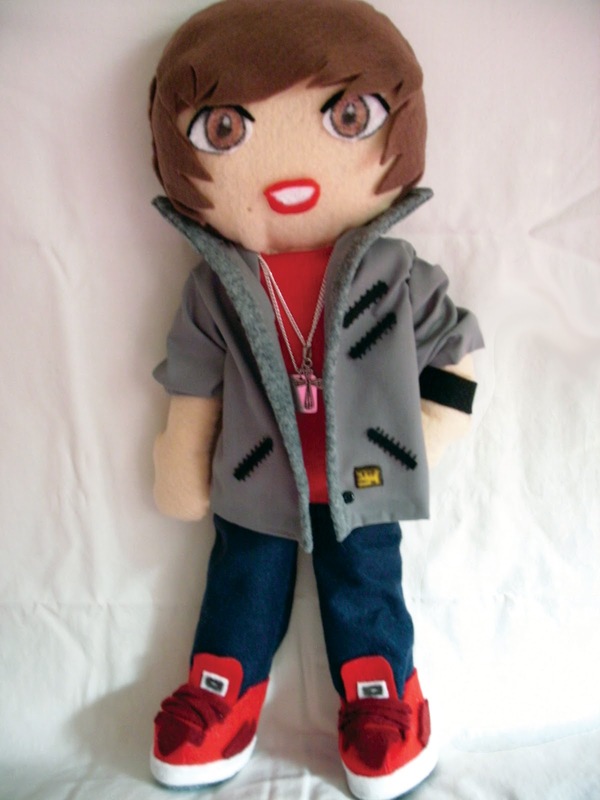 But this doll is real! And you can buy it! For $100! Honestly, if you have an extra $100 to spare, I can think of a billion better ways to spend your money (ex: 100 slices of $1 pizza,) but I digress. 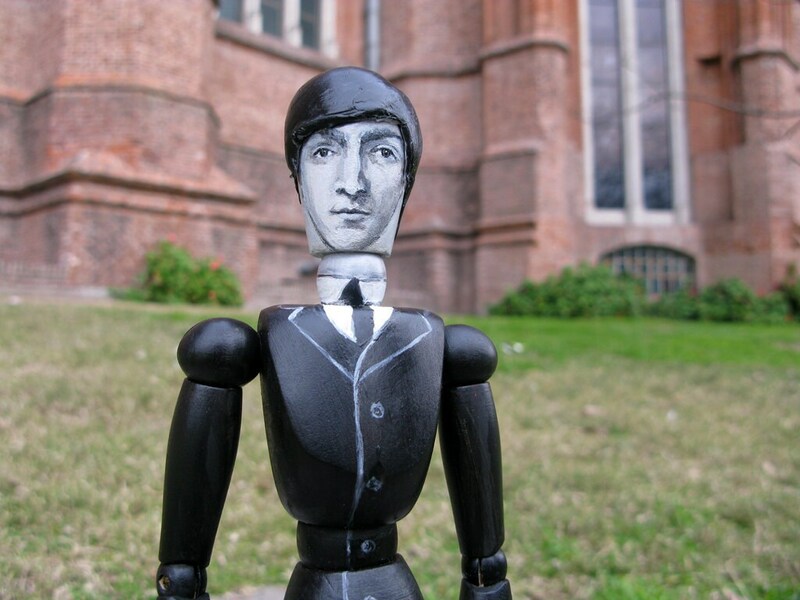 Probably the one musician in the history of history to look good as a doll. It's a personality thing. 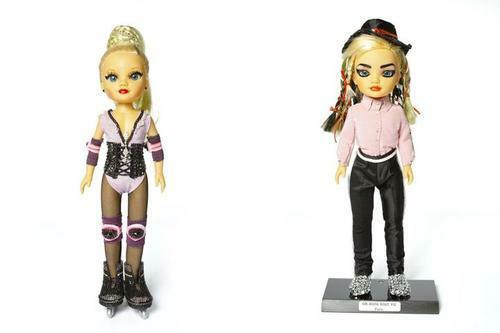 Johnny Rotten and Sid Vicious are already hard to look at, but someone had to go and mall goth the crap out of them. 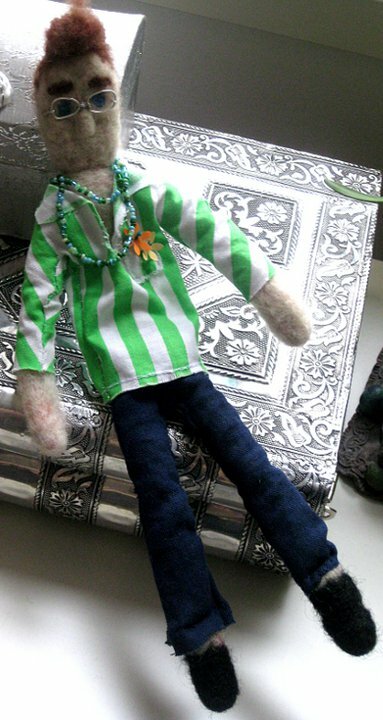 There's something oddly anteater-like about these dolls. 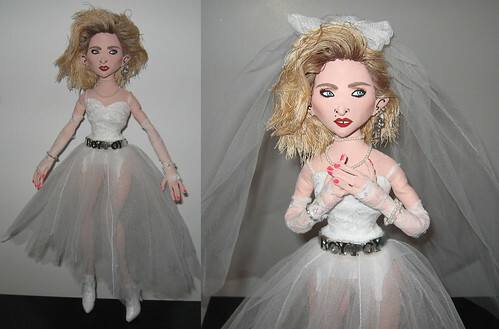 Madonna also looks very anxious and we all know she's the queen of confidence. Emotions! This is so far off I can't even. 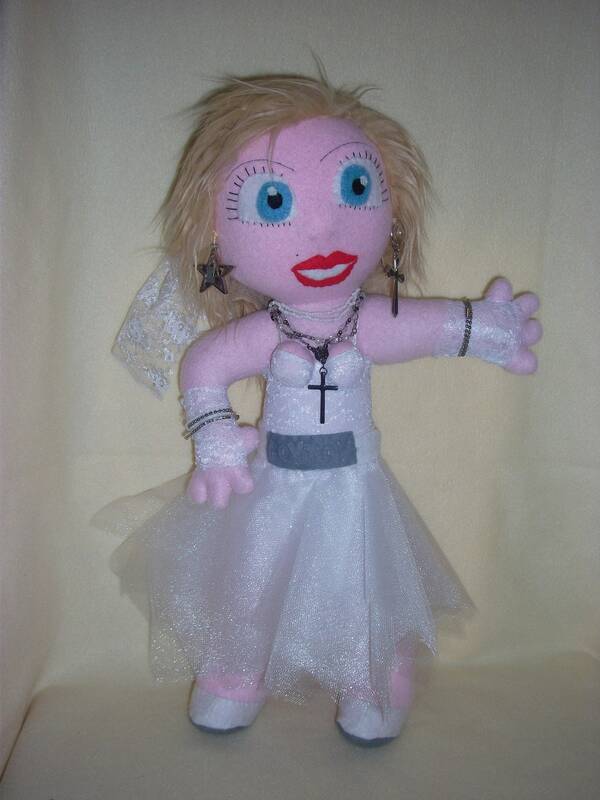 So that's what you get when you marry Jigglypuff and Miss Piggy. More like Charlie Sheen on a bad day, amiright? 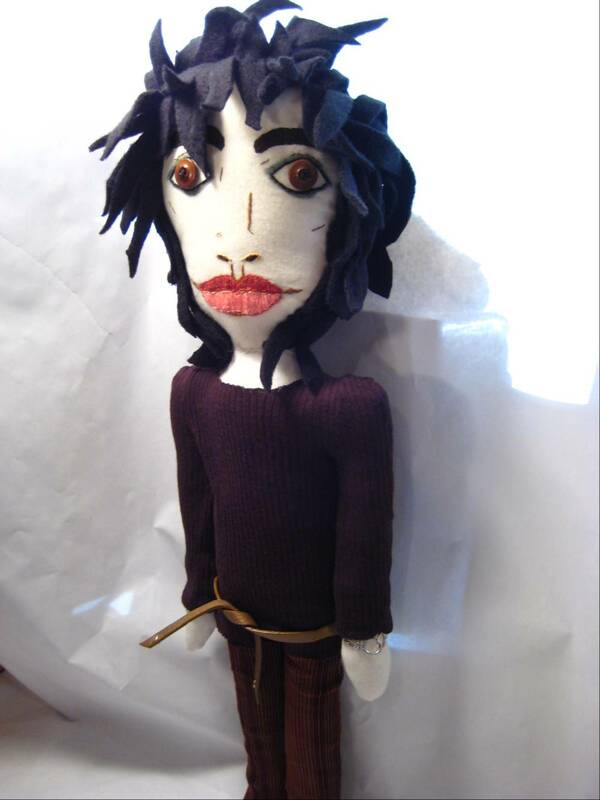 Either someone was attempting to make a Beaker puppet and got lost along the way or I have to generally question how much of the population actually knows what Morrissey looks like. 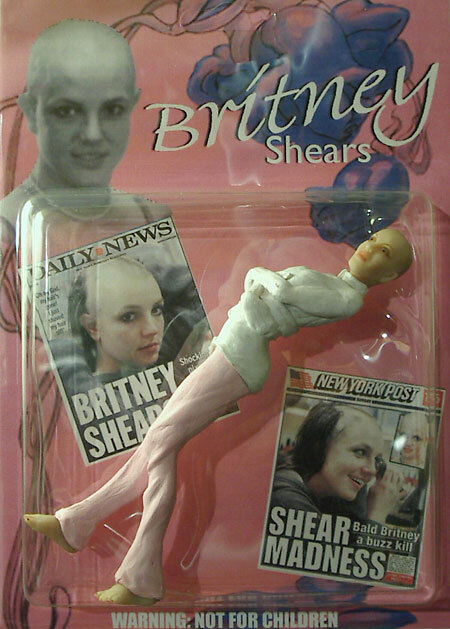 The creepy doll to end all creepy dolls.